Currently, we are providing bamboo houses in Ecuador for families on the mainland who have migrated from the mountains to the city, thinking that there would be immediate jobs for the husband and the wife, and educational opportunities for the children. However, they discover that jobs are not easily found, and school supplies are very expensive. With not enough money to rent a place – they find themselves homeless. These are good people who find themselves desperately poor. The cost of a bamboo house is $1,000 (USD). It can be built in a day, so that a family can have a safe place to live, and the parents can search for work to support the family. The housing projects on the island are more costly. 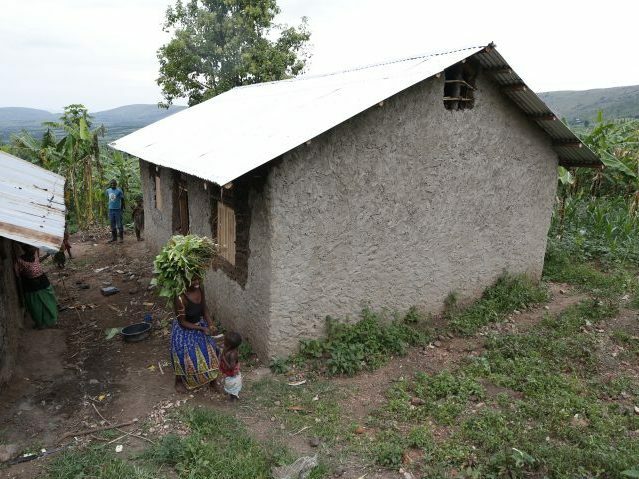 The houses are constructed with cement. The supplies are shipped from the mainland. The terrain is volcanic rock and has to be excavated well before a solid cement foundation is laid. The interior includes: a living/dining room, kitchen, bathroom, three bedrooms and, out back, there is room for a small cement patio. There is room on the patio for a laundry tub and clothes line. Each house costs $12,000. These are very poor families who apply to the Franciscans for a house. In some cases, it is a single parent raising two or more children. Most jobs on the islands are related to tourism, fishing and simple farming. Most people earn just enough for the basics. On an island, people are known, and so are their circumstances. When a family in need is referred to us by the priest or missionary, we know that it is serious and urgent. 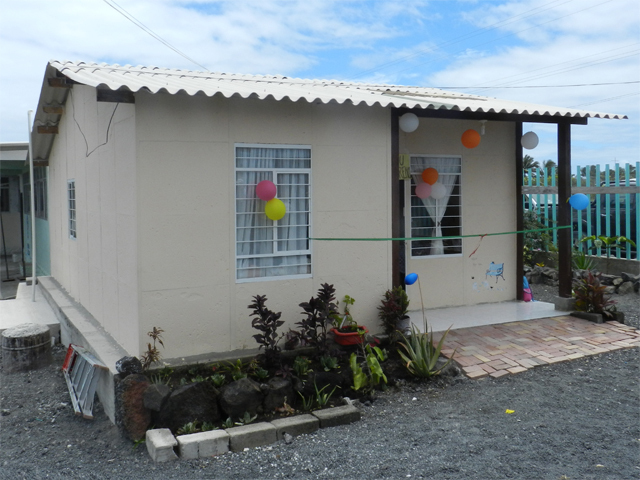 Recipients of houses on the mainland, and islands of Ecuador, are selected by the Franciscans based on extreme level of poverty.